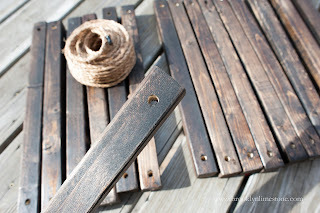 Right along with the spring flowers, I'm shaking off the cold and jumping into some spring spruce up projects. 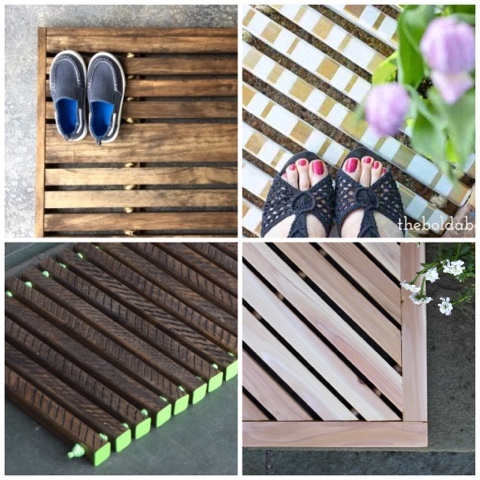 The first is a virtual DIY project party with some of my favorite bloggers. 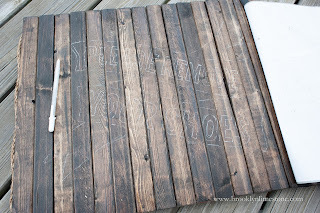 Each of us was asked by The Home Depot to put our own spin on this DIY Wooden Doormat. 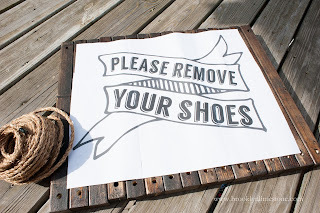 I don't know about you but I find it much easier to keep the house clean when we leave our shoes at the door so that's a general rule in our house. 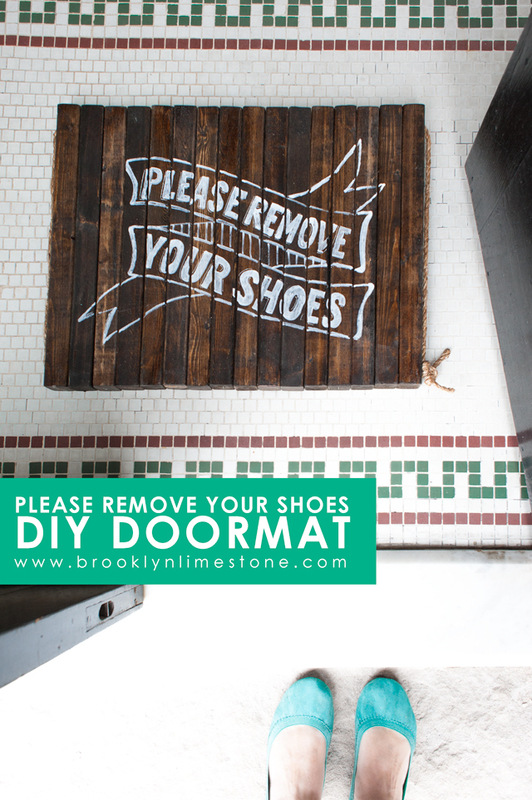 This little enhancement to that project makes it easy to share the message without keeping watch at the door. 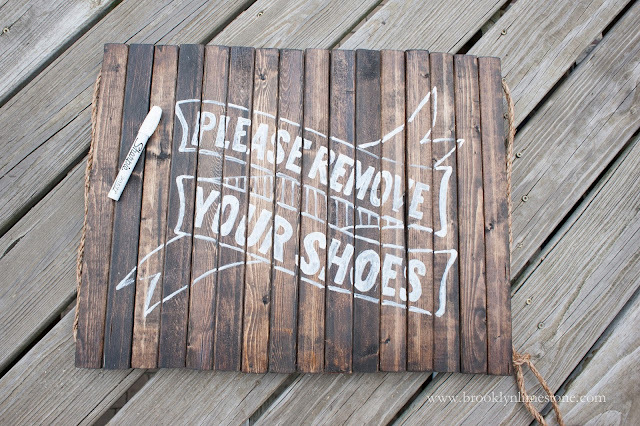 And on the occasions we bend the rules, its easy enough to flip the mat over to the plain wood side. Starting with 2x2 lumber, I cut, stained and drilled so that the pieces could be strung with sisal rope. 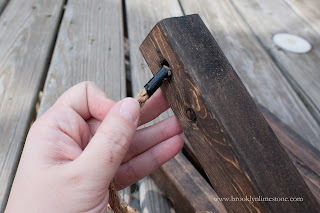 I modified the original instructions to simple tie the rope once rather than knot it between each piece of wood. This made seeing the design easier as well as made the entire mat small enough for me to use indoors. As you can see you can add or subtract wood pieces easily enough to customize it to a size that works for you. 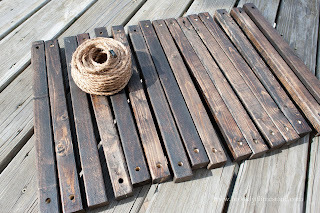 Once the stain was dry, I strung the wood pieces with the rope and taped down my printed design. Using lots of pressure and a ballpoint pen, I traced the design so the impression would be left on the underlying wood. 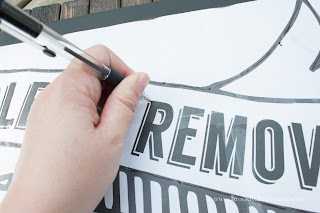 Then I peeled back the design and went over those impressions in the wood with a white ink pen. Finally using that light white outline, I went back in with a white sharpie marker and finished the design. The white marker is permanent and will only add to the charm as it wears on the wood. Now off to see what some of the other bloggers have dreamed up for this project.  Disclosure: This post is sponsored by the Home Depot but all opinions expressed are my own. 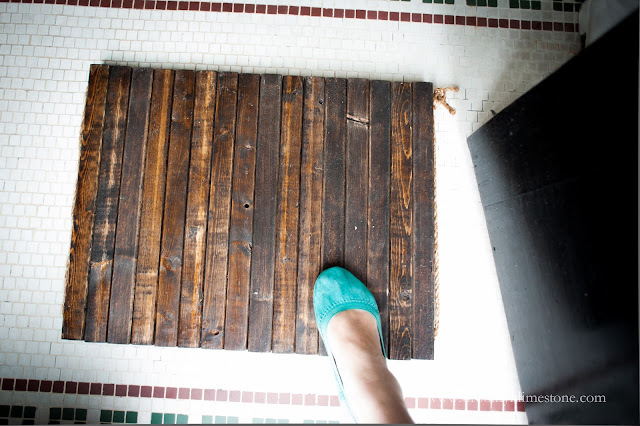 These types of welcome mats seem like the best DIY, since you can customize them by choosing a different stain, width of wood strips, etc. We need to upgrade ours soon, so this might be an option! That is nice unique new summer look! Love the type treatment and the cute little knot holding it all together! Oh, I love the design you painted on! So pretty! Love the design and the cute shoes! What brand? Thanks Liz. They are cheapos from Amazon. Thanks Katie. I do have a sickness of putting words on everything. Can't help myself! Love your mat! 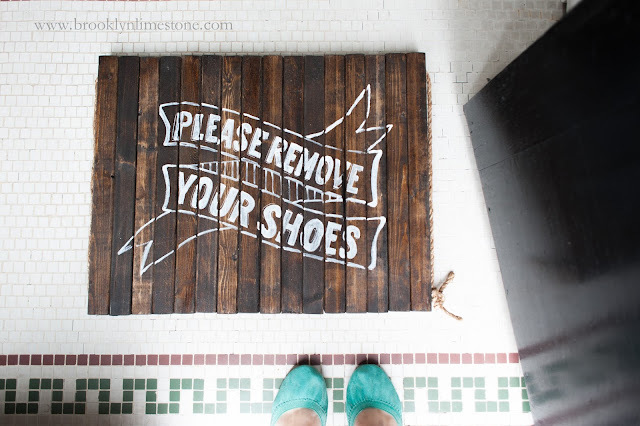 We try to enforce the "no shoe" policy at our house too, but no one ever seems to listen. :-/ I need one of these - maybe then they will! Great job Stefanie!